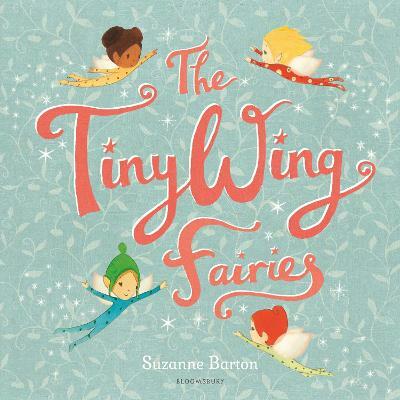 Always on the lookout for mysteries to solve, and finding new adventures around every corner, the TinyWing Fairies are quite the team! Join Pippin, Marthy, Tiffin and Little Ess as they head out into the frosty night to investigate the source of a strange noise that is keeping th... read full description below. Always on the lookout for mysteries to solve, and finding new adventures around every corner, the TinyWing Fairies are quite the team! Join Pippin, Marthy, Tiffin and Little Ess as they head out into the frosty night to investigate the source of a strange noise that is keeping the fairies from sleeping. Whatever can it be? With snowy, atmospheric backdrops and illustrations full of pretty patterns and textures, this warm and reassuring story about night-time noises is the perfect comfort for wakeful little ones. There's not a frilly pink outfit to be seen! Suzanne's influences include Japanese prints, and illustrators she remembers from her childhood. Her artwork is a beautiful combination of collage, drawing and painting, and with a love of patterns and prints, Suzanne can often be found searching through vintage-paper shops for inspiration. The Dawn Chorus was Suzanne's first picture book, which was shortlisted for the Waterstones Children's Book Prize, followed by Robin's Winter Song and The Butterfly Dance. 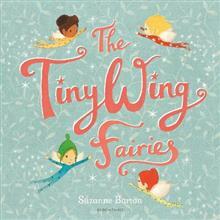 This is her fourth book for Bloomsbury.